The fiber optic network that EPB installed nearly a decade ago not only allow the ISP to provide gigabit connectivity, it was also strategically built on top of the preexisting power grid, creating its “smart grid.” This allows the utility to monitor its electrical system in real time and to read all meters every 15 minutes, saving the cost of sending technicians into the field. Additionally, the smart grid is able to instantly reroute power in the case of an outage, saving the city $50 million annually and dramatically reducing power outages. These savings mean lower electricity costs for all of EPB’s customers, not just those subscribing to Internet. A February 2017 the Berkman Klein Center studied benefits from Chattanooga's smart grid and estimated it offered $23.6 million in direct annual paybacks and revenue along with significant indirect benefits. Read more about the report and the methodology. 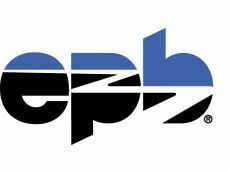 In its most recently proposed budget plan, EPB projects a return of $45 million in payments from the telecom network to the electric system and $24.3 million in earnings from its telecom division will help lower power rates by eight percent. Smart grid technology is allowing others to cut costs for customers. Ouachita Electric Cooperative, located in south-central Arkansas, reduces costs for members by utilizing their fiber optic network to track electricity use. Similarly, Tullahoma, Tennessee, uses Advanced Metering Infrastructure (AMI) to automatically read electric and water meters and significantly reduce costs. Fiber optic networks not only bring fast, affordable, reliable Internet access, they also allow for smarter and more efficient utilities, cutting costs for both cities and subscribers.